Value driven project management is a project management methodology in which a project manager handles all logistics, managerial approaches and decisions based on a series of metric values which are derived from quality assurance, resource allocation and production efficiency. This is a newer methodology of project management, and many a project manager has taken to this new theory with much vigor. It has been tested as successful in many situations, enough so that it is considered to be proven to be a viable methodology in most circumstances. This does not mean that it is necessarily guaranteed to be the more methodology for each and every project manager, or each and every situation. The choice of methodologies when it comes to project management all boils down to a project manager’s personal managerial approaches, as well as what seems to work best for any given corporate culture. However, value driven project management is certain worth a look, and pursuing a value driven project management course is always a good investment for any project manager. Even if this methodology is not always compatible with a managers specific style, or specific situation, very few project managers can claim to have not needed to use this methodology with some new project at some point. One of the marks of a good leader is someone who is willing to try new ideas, especially if they stand to and if they stand to be beneficial for the needs of the whole. This is why a wise project manager will take the time to of wire a value driven project management certification. It stands to reason that existing professionals have little time to attend classes, and may not want to spend a fortune on tuition. The same could the said for employee adults who are interested in entering the field of project management. This is where online certification is a very handy thing. Online certification allows a busy adult to learn and study on their own schedule, eliminating the classroom as well as cost tuition. This allows the busy professional to continue to easily fulfill their professional and personal obligations, as well as continue to enjoy their personal lives, without a school sucking up what little free time they have. However, a word of warning: there are many online certification providers, and given that it is a competitive industry, one is bound to be the best. If you are reading this, you found them. Brainmeasures is a new kind of online certification provider for a new kind of business world. We understand that in this competitive economy, just having a certification may not be wide enough to give someone the edge they need to win out against experienced, long time professionals, or a flock of other certified hopefuls vying for the same position. Well, our unique philosophy accounts for this. We believe that knowledge without experience is essentially a boat on dry land. So, when we work as closely as we do with professionals who have years of experience in a field we wish to teach, we listen to more than just the knowledge they can impart. We pay close attention to the stories of their experiences over the years, and we utilize this as not only examples in our teaching, but also as a way to imbue our students with practical, working experience before they even have a chance to enter the field. This makes our certified graduates not only equipped with the edge they need to compete, but also an edge for any company who is wise enough to hire them. 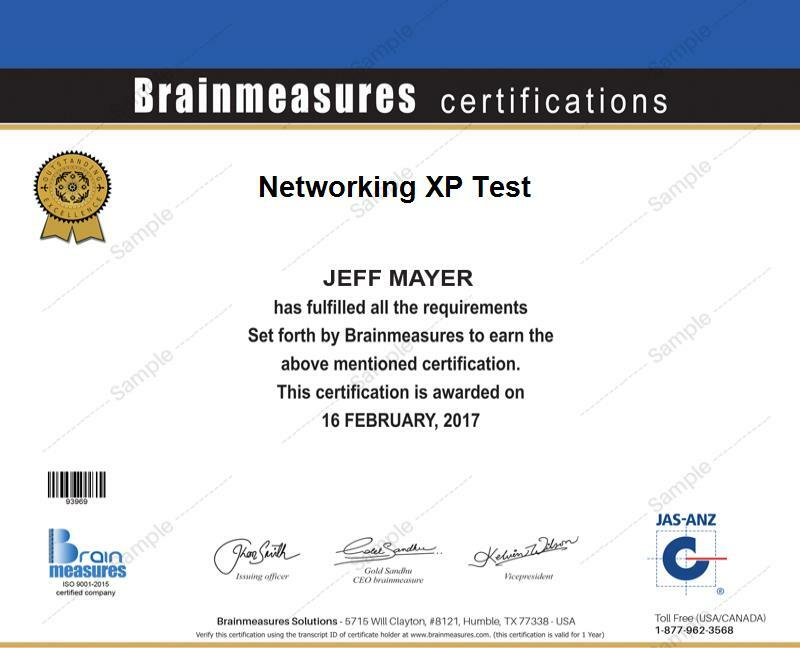 This is the Brainmeasures advantage, and no other online certification provider can duplicate it. This value driven project management certification consists of a value driven project management course, followed by a project management exam. Upon taking the exam, the student is awarded a certificate representing their full and complete value driven project management certification. This course is designed so that anyone with the drive and passion can successfully complete it. However, to be a truly successful project manager requires a special set of interests, a special level of patients and a love for logistics, problem solving and people. While salaries can vary depending on company and field, as well as specific profession, many of the positions opened up by this course can earn between $100,000-$350,000 a year, though some can even achieve as high as $450,000 a year.